The FAA has issued a Change 1 to Advisory Circular AC 00-45H effective January 8th 2018. AC 00-45, more commonly referred as Aviation Weather Services, is the go-to resource for U.S. aviation weather products and services. 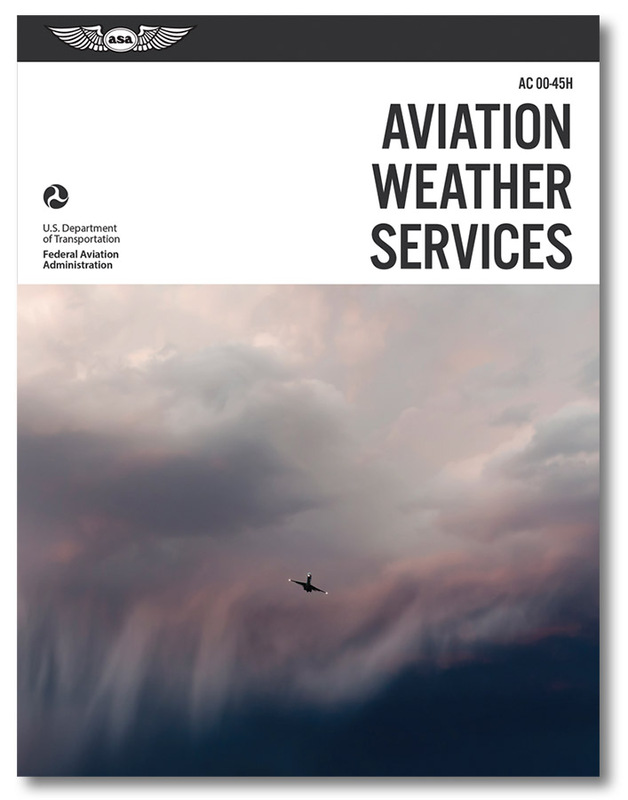 This document is organized using the FAA’s three distinct types of aviation weather information: observations, analyses, and forecasts. 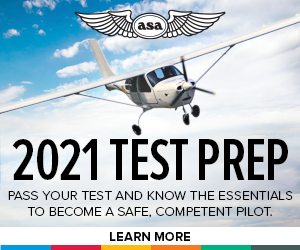 This is a vital resource and should be a part of any aviators library. DUATS II no longer requires an airman medical to access the system (duats.com). A new section was added to Chapter 3, Terminal Doppler Weather Radar (TDWR). The TDWR network is a Doppler weather radar system operated by the FAA, which is used primarily for the detection of hazardous windshear conditions, precipitation, and winds aloft on and near major airports situated in climates with great exposure to thunderstorms in the United States. To review this information refer to Section 3.4. A new sub-section was added to Chapter 3, POES. POES stands for the Polar Orbiting Environment Satellites, although more recently the U.S. polar satellite program has been rechristened the Joint Polar Satellite System (JPSS). Polar satellites are not stationary. They track along various orbits around the poles. Typically, they are somewhere between 124 and 1,240 mi above the Earth’s surface. The satellites scan the Earth in swaths as they pass by on their tracks. To review this information refer to Section 3.5.3. Note in chapter 5 section 6 that Collaborative Convective Forecast Planning (CCFP) is now Convective Forecast (TCF). The figures and language throughout this section have been updated to reflect this updated weather product. To review this information refer to Section 5.6.3. A new section was added to Chapter 5, Graphical Forecasts for Aviation (GFA). The GFAs are a set of Web-based displays which are expected to provide the necessary aviation weather information to give users a complete picture of the weather that may impact flights in the CONUS. These displays are updated continuously and provide forecasts, observational data, and warnings of weather phenomena that can be viewed from 14 hours in the past to 15 hours in the future. This product covers the surface up to FL420 (or 42,000 ft MSL). Wind, icing, and turbulence forecasts are available in 3,000-ft increments from the surface up to 18,000 ft MSL, and in 6,000-ft increments from 18,000 ft MSL to FL420. Turbulence forecasts are also broken into low (below 18,000 ft MSL) and high (above 18,000 ft MSL) graphics. A maximum icing graphic and maximum wind velocity graphic (regardless of altitude) are also available. The graphic below is an example of an aviation forecast for clouds. To review this information refer to Section 5.9. A new section was added to Chapter 5, Localized Aviation Model Output Statistics (MOS) Program (LAMP). The LAMP weather product is a statistical model program that provides specific point forecast guidance on sensible weather elements (perceivable elements such as temperature, wind, sky cover, etc.). LAMP weather product forecasts are provided in both graphical and coded text format, and are currently generated for more than 1,500 locations. The LAMP weather product is entirely automated and may not be as accurate as a forecast generated with human involvement. However, information from the LAMP weather product can be used in combination with Terminal Aerodrome Forecasts (TAF), and other weather reporting and forecasting products and tools, to provide additional information and enhance situational awareness regarding a particular location. To review this information refer to Section 5.10. Hawaii was added to Section 5.11.1 as an area of issuance for an Area Forecast (FA). You will find new figures and detailed information regarding the Hawaii Area Forecast. To review this information refer to Section 5.11.1. A new sub-section was added to Chapter 5, Low-Level Wind Shear Alert System (LLWAS). The LLWAS system was originally developed by the FAA in the 1970s to detect large-scale wind shifts (sea breeze fronts, gust fronts, and cold and warm fronts). It was developed by the FAA in response to an accident at JFK Airport in New York. The aircraft (Eastern 66) landed during a wind shift caused by interacting sea breeze and thunderstorm outflows. To review this information refer to Section 5.13.2.10. ASA will have an Change 1 update available shortly to go along with all printed copies of the Aviation Weather Handbook (ASA-AC00-45H). The update will be posted on the Textbooks Update page at www.asa2fly.com.